Frederick Soddy, FRS, 1877–1966. English radiochemist and economist; Nobel laureate. 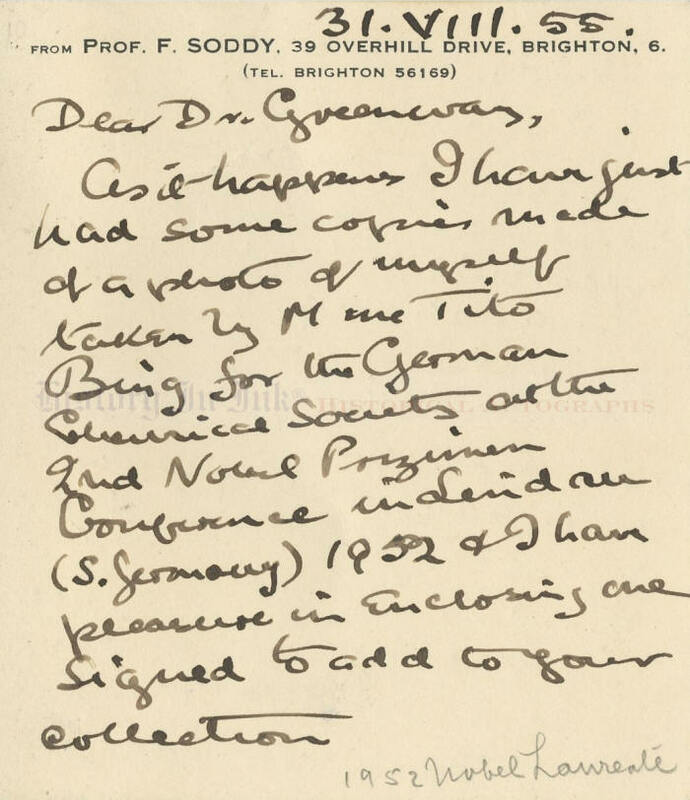 Excellent Autograph Letter Signed, Frederick Soddy, two pages (recto and verso), 3½" x 4", on personal note card, Brighton [East Sussex, England], August 31, 1955. Soddyʼs comments reflected the new world that resulted from use of the atomic bomb to end World War II and the Cold War nuclear arms race between the United States and the Soviet Union that followed. The United States dropped a uranium-based bomb, dubbed "Little Boy,” on Hiroshima, Japan, on August 6, 1945, and three days later it dropped a plutonium-based bomb, “Fat Man,” on Nagasaki. The second bomb forced Japan to surrender. By 1949, the Soviet Union had developed its own nuclear fission bomb. That spurred the United States, in turn, to develop the seeds of the hydrogen bomb by late 1952, and the Soviet Union responded with its own thermonuclear bomb by mid-1953. Throughout the 1950s, the United States and the Soviet Union jockeyed for nuclear superiority as mankind developed the ability to destroy itself. By 1961, President John F. Kennedy would warn in his inaugural address that "man holds in his mortal hands the power to abolish all forms of human poverty and all forms of human life." In 1902, Soddy and his colleague at McGill University in Montreal, New Zealand physicist Ernest Rutherford, demonstrated that radioactivity involves the spontaneous disintegration of atoms, with one element spontaneously being changed to another. Subsequently, as a lecturer at the University of Glasgow and later as a professor at the University of Aberdeen, Soddy showed that an atom moves lower in atomic number by two places upon alpha emission but higher by one place upon beta emission. This was a fundamental step toward understanding the relationships among families of radioactive elements. Soddy received the Nobel Prize in chemistry in 1921 for his research in radioactive decay and his formulation of the theory of isotopes. He published Atomic Transmutation in 1953. Greenway (1896–1968), pastor at All Souls Church in Brooklyn (Congregational) from 1929 until he retired in 1965, was a well-known collector of autographs, manuscripts, signed photographs, and first edition books. In 1964, his collection reportedly numbered 6,000 or more items, including 3,900 signed photographs. Soddy evidently refers in this letter to a photograph taken by Ilse Bing (1899–1998), a German avant-garde photographer. 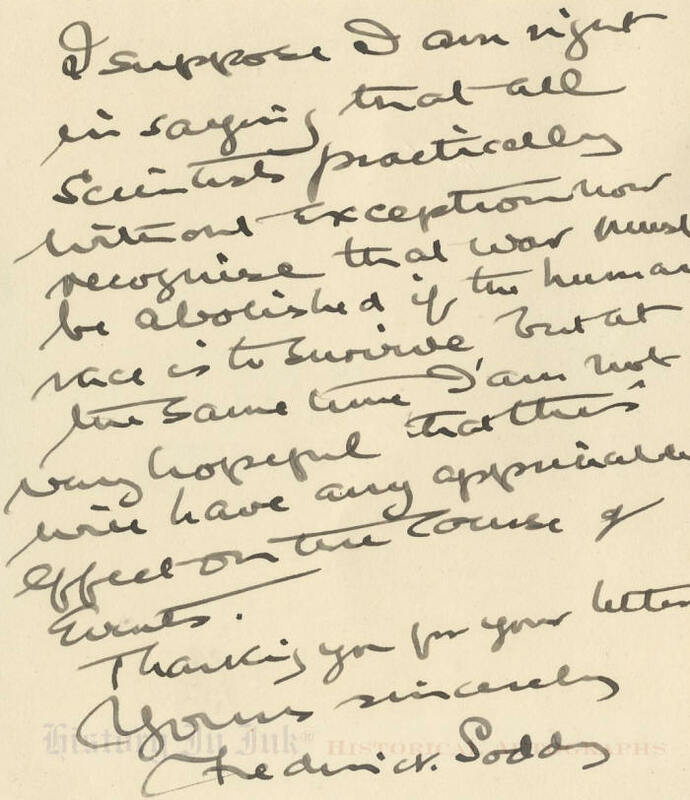 Soddyʼs correspondence appears to be scarce, if not rare, on the autograph market. Our research shows the sale of only three other letters, two of them on these small note cards, over the past 40 years. This letter is virtually pristine. Soddy has written and signed the piece in black fountain pen.  There is a pencil note, “1952 Nobel Laureate,” in another hand at in the blank front bottom margin and a partially erased collectorʼs pencil note in the front upper left corner. The piece is in very fine condition, and but for the pencil notes it would be extra fine.